As enjoyable as a dish might be, it is rare for me to want to eat the same meal two days in a row. It would have to be very special or pizza or both for me to consider it. Having roasted up a treat with the jerk pork, I had the task of eating my way through quite a lot of meat. What could I do with meat that was already cooked? Sandwiches? 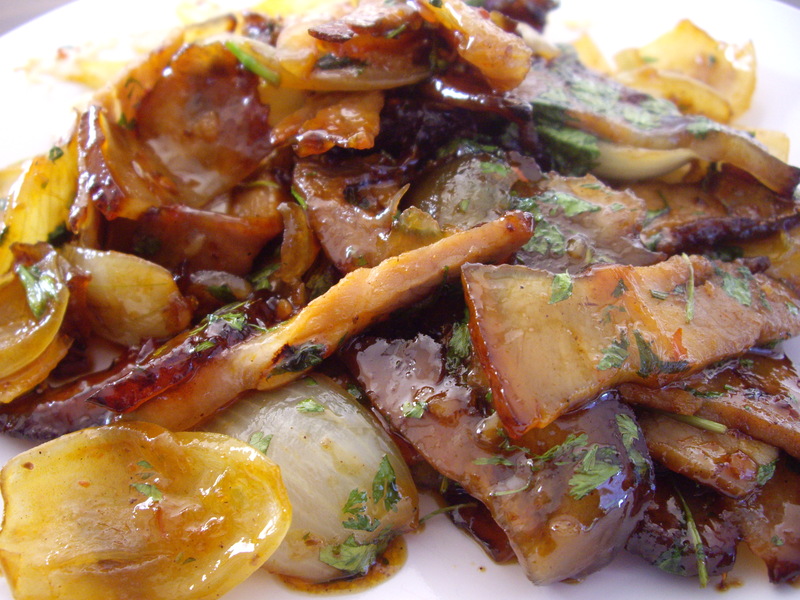 Yes, some pork with chutney or apple sauce would be good, but not for dinner. In Szechuan cuisine, there is a dish cooked on lunar feast days called twice cooked pork in which boiled pork belly is sliced thinly and fried with vegetables to create a new dish. 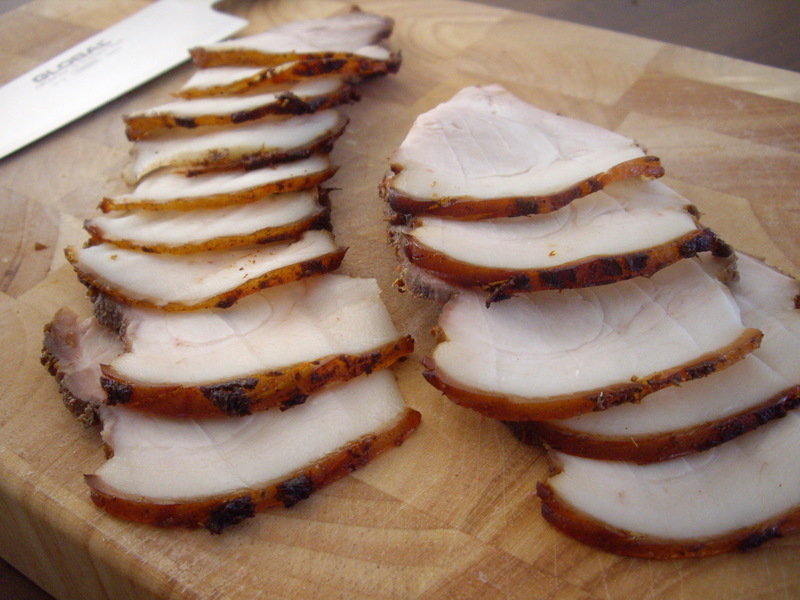 The roasted pork had a lovely, firm, yet moist texture that I thought would be ideal for slicing and frying. Before I knew it, I was quartering onions and reaching for my big bottle of Thai sweet chilli sauce. I’m not talking about something that looks like it came from a hotel mini bar with a blue dragon on the front. I’m talking about a big daddy bottle of the real deal. Tonnes of garlic, beautiful chillies and a very runny texture. All at a fraction of the price, I might add. Once done, I made some egg fried rice and tucked in. I’ve found a new favourite in this dish. It’s simple and ready in five or six minutes. If only everything in life was such. Slicing the pork was fun. I then cut it into pieces ready for frying. I heated up the oil in a wok until it was almost smoking and then threw in the pork. I was greeted with a satisfying hiss and lots of spitting as the water in the pork made contact. I added the onion, tossed it together and poured in four seconds worth of chilli sauce which was enough to satisfy my craving for sweet and spicy fun and sufficiently cover the pork. I added the chopped coriander which gave the dish nice colour and freshness. This dish ticks all of my boxes for a quick and tasty meal. I’ve said that I don’t like to eat the same meal on consecutive days, but I might make an exception in this case. The flavours in this dish are really fresh.